The Pro-Wres Digest for May 7th – May 13th. Johnny Lezcano, who worked as Kato Kung Lee in Mexico, passed away on 7/5 at the age of 69 from a heart attack. Lezcano teamed with Kung Fu in 1977/78 in EMLL and together they won the Arena Coliseo Tag Team titles on two occasions. In 1979 Satoru Sayama joined the team and they became known as El Triangula Oriental. Kato Kung Lee & Kung Fu jumped from EMLL to the UWA in 1981 and began teaming with Black Man as Los Tres Fantasticos. They became the top techinos trio in the UWA and were crowned the first UWA World Trios champions on March 18 1984 when they beat Solar, Super Astro & Ultraman in the finals of a tournament. The trio disbanded in 1985 when a working agreement between EMLL & UWA ended; Kung Fu stayed with EMLL, while Black Man chose UWA and Kato Kung Lee went out on the indie circuit. Kato Kung Lee was unmasked by El Hilo del Santo on November 28th 1986 and his gimmick was somewhat hurt by the fact he was not actually Japanese. 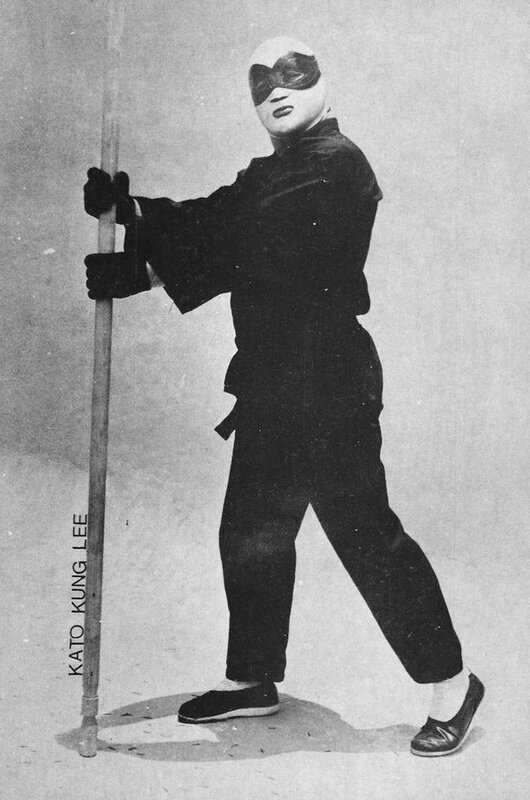 He returned to EMLL in 1988 for a feud with his old partner Kung Fu and lost a Mask vs. Hair match on April 29th 1988 at Arena Mexico. They reprised the program three years later and Kato Kung Lee got his revenge on Kung Fu by beating him at Arena Mexico in Hair vs. Hair match on March 1st 1991. After a brief stint in SWS for Tenryu in 1992, he stayed with CMLL until 1996 then embarked on two separate tours for Michinoku Pro in the same year, mostly teaming with the Great Sasuke & Masato Yakushiji in tag matches. He was no stranger to Japan, as he also worked for Gran Hamada’s UWF in 1990. Kato Kung Lee hung around the independent scene until 2007 when he had to retire due to a pulmonary embolism and only made special appearances from that point on. He did have one MMA fight in 2001 when he lost to Kazuki Okubo on August 18th 2001 for the DEEP promotion. 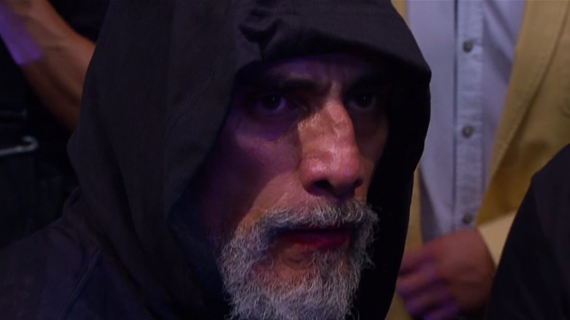 The news of Lezcano’s death was announced at the CMLL Arena Mexico show on 6/5, however it emerged about 20 minutes after the announcement was made that he was in fact still alive but in a critical condition. Lezcano passed away the following day on 7/5 at 1:47pm. Our condolences go out to his family and friends. There is a great bio up on luchaworld.com. On 10/5 WWE held their annual first quarter earnings conference call and here are some of the highlights. Profits were up $13.9 million for the first quarter of 2016, compared to $9.8 million for Q1 of 2015. Revenue was $171 million, down slightly from $176.2 from Q1 of 2015. The drop is due to WrestleMania falling in the second quarter this year, whereas last year Mania fell during Q1, however in turn the Q2 revenue should be up massively from last year. Much more interesting than the numbers and George Barrios dodging questions was Vince McMahon stating that a bunch of stars would be returning within the next 30 days. Seth Rollins, John Cena, Randy Orton & Bray Wyatt were the names he dropped and Vince added that they had made 13 new stars from NXT, which was quite the laughable statement. Vince also talked about Shane doing a great job as an on-screen talent and made it clear he had no input creatively. Leppan appeared in court on 12/5, which TMZ were predictably all over. His wife pleaded with the Judge to not issue a restraining order and brought up their special needs child. The Judge noted that there was a previous domestic abuse incident involving Leppan in March, however he ultimately decided against the restraining order. Instead, the Judge laughably ordered Rose to see his pastor for counselling until his next court appearance in June. Leppan’s bond was set at $1,000, which was paid in full and he was released on the same day. With all the cuts WWE made last Friday, one of the most unexpected releases came this week on 11/5 when Steve Lombardi was axed after 30 years with the company. Lombardi worked many prelim gimmicks during his time as a performer, including taking over as Doink the Clown from Matt Bloom for a short period of time, the baseball characters MVP & Abe “Knuckleball” Schwartz, Kim Chee the handler of Kamala and most famously, the Brooklyn Brawler. Lombardi became a road agent in the late 90s and remained in a producer role until he was released this week. His main role was to round up all the talent for the talking heads and produce their interviews for DVDs. 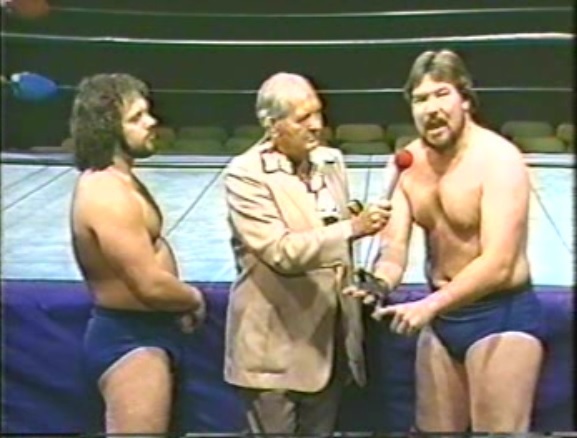 Mike Johnson of PWInsider noted that he also was the guy who would assess the promo ability of all the try-out talent and his opinion on their talking skills would be a big factor in whether the talent would get a look from the company. There was a note in the Observer this week about Christian also being released from his contract. However according to Dave Meltzer, “it is more of a technicality” as Christian still had an active performer contract, which he obviously is unable to fulfil after retiring from active competition due to concussion issues. It is believed that he will still be kept around to film a second season of the Edge & Christian Show for the Network. Ryback is still with WWE, however the Observer reported that the company will likely just let his contract expire. Meltzer noted that the decision on Ryback was made before Payback and there were numerous issues that he and Vince McMahon could not agree on. Ryback reportedly wanted the company to cover road and travel expenses, something WWE has never done, and also asked for more money than Vince McMahon was willing to offer for a new deal. This week, all the Ryback merchandise was marked down and put on sale which is what usually happens when talent is released. WWE will be running a house show in Honolulu, Hawaii on June 29th and reports are that John Cena will be facing Shinsuke Nakamura. The match is not advertised on WWE.com, however both Nakamura & Cena are listed as being on the show and reports surfaced after RAW on Monday that they ran a local commercial in Hawaii promoting the match. For whatever reason, this alleged commercial cannot be found anywhere on line, so make of that what you will. Brock Lesnar vs. Kevin Owens was also rumoured for the show, however it turns out that both matches are probably not going to happen, as Dave Meltzer noted in this week’s Observer that Lesnar was never asked to work the show and he is not even advertised on WWE.com. There had also been talk of the Honolulu show being a live Network special, however that was shot down in the Observer too as WWE confirmed that the show will not be on the Network. It is highly unlikely that they would do Cena/Nakamura in front of no cameras, so it appears like a lot of people are going to be disappointed one way or another. Just two days later, WWE will be running the first of two back-to-back shows at Sumo Hall in Tokyo, both of which are sold-out. Nakamura & Asuka will be on the shows and unlike the Honolulu show it is already clear who they will be wrestling. Nakamura will be facing Bray Wyatt on both nights, whereas Asuka will take on Becky Lynch on 1/6 then will face Natalya on 2/6. John Cena is advertised against Chris Jericho for 1/6 and against Kevin Owens on 2/6. Karl Anderson & Luke Gallows are also on the tour and will be part of a four-way tag match against New Day, The Vaudevillains & The Usos on 1/6. On 2/6 Anderson & Gallows will take on the Usos in a traditional tag match. My guess is that Nakamura ends up facing Jericho in Honolulu. The big news from the ROH Global Wars PPV was Adam Cole being revealed as the newest member of the Bullet Club. There was a non-finish to the Jay Lethal/Colt Cabana World title match when the Young Bucks came out and superkicked Todd Sinclair & Taeler Hendrix. They handed Bullet Club shirts to Lethal & Cabana, but they did a lights-out spot to reveal Adam Cole in the ring wearing a Bullet Club tee and the Bucks & Cole superkicked everyone to death. Security guards, camera men, Kevin Kelly, Mr Wrestling III, even the Young Bucks dad took superkicks. Tama Tonga & Tanga Loa showed up and spray painted furniture like the NWO; Matt Jackson did some Jim Ross parody announcing during the mayhem. The angle built to the Bullet Club tying Lethal to the ropes and Cole repeatedly superkicked him into oblivion. It was certainly something to behold, however it was an angle we have seen countless times since 1996 and it certainly seemed to divide opinion amongst the fans. 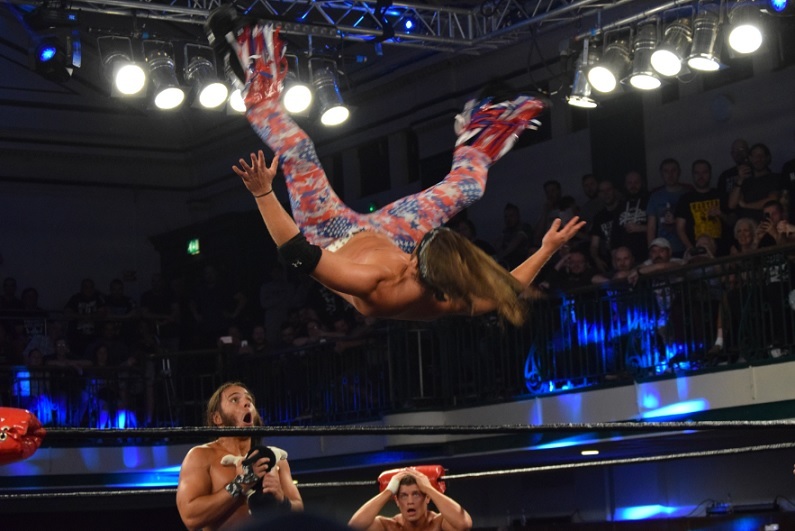 They followed up at the TV tapings in Dearborn, MI on 9/5 by adding Adam Page to the Bullet Club in another big angle where the Motor City Machine Guns, the Briscoes & Colt Cabana were all laid out. According to Dave Meltzer on the 11/5 Observer Radio, the Bucks pushed for Adam Cole to be in the Bullet Club and Gedo made the call on Adam Page being included. EC3 made a surprise appearance at the Evolve 61 show on 7/5 in Queens, NY. The former TNA World champion hit the ring during the main event between Johnny Gargano & Drew Galloway and attacked Gargano for the DQ. He cut a lengthy promo burying HHH, NXT & Bill DeMott. Drew Gulak & TJ Perkins, both of whom qualified for the WWE Cruiserweight Classic earlier on the show, ran in but EC3 & Galloway took them out. Ethan Page finally made the save with a chair then the Evolve guys cut a promo putting over the promotion. 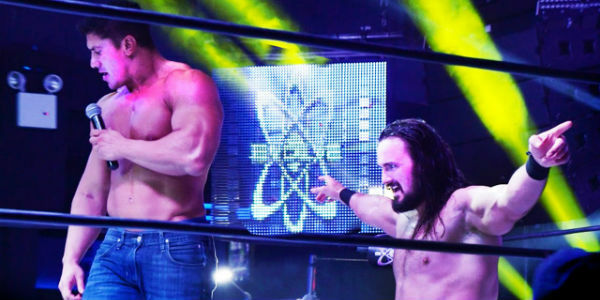 It is an interesting development considering the working relationship between WWE and Evolve, although I for one am not thrilled about the prospect of an unofficial TNA vs. Evolve feud. Insane Championship Wrestling announced Kurt Angle for their biggest show ever at the SSE Hydro in Glasgow, Scotland on 20/11. WWE are running the 13,000 seat building two weeks earlier on 7/11 & 8/11, so it will be interesting to see what effect Angle has on ticket sales. As we have noted before, ICW drew the biggest crowd by a UK promotion in over 35 years in November last year when they packed 4,000 fans into the SECC Arena in Glasgow. ICW will be hoping to smash that record when they run the much bigger Hydro, however even with the addition of Angle it is a very ambitious move for a small independent group with no TV deal. * Hirai Kawato vs. Kaito Kiyomiya. * Teruaki Kanemitsu vs. Shiro Tomoyose. * Asako Yoshida vs. Hitoshi Kumano. * David Finlay (NJPW) vs. Yoshinari Ogawa. * Ryusuke Taguchi & Mohammed Yone vs. Genba Hirayanagi & Captain NOAH. * Jay White vs. Naomichi Marufuji. * Juice Robinson vs. Go Shiozaki. * Satoshi Kojima, Hiroyoshi Tenzan, Yuji Nagata & Manabu Nakanishi vs. Katsuhiko Nakajima, Maybach Taniguchi, Masa Kitamiya & Quiet Storm. * Satoshi Kojima, Volador Jr. & Bobby Fish vs. Tomohiro Ishii, Trent Baretta & Will Ospreay. * Yuji Nagata, Manabu Nakanishi, Jushin Liger & Tiger Mask vs. Katsuyori Shibata, Juice Robinson, Jay White & David Finlay. * Hiroshi Tanahashi, Yoshitatsu, Captain New Japan & Ricochet vs. Kenny Omega, Bad Luck Fale. Yujiro Takahashi & Nick Jackson. * Kazuchika Okada, Hirooki Goto & Yoshi-Hashi vs. Tetsuya Naito, Seiya Sanada & Evil. * BOSJ A BLOCK: Gedo vs. Bushi. * BOSJ A BLOCK: Rocky Romero vs. Matt Jackson. * BOSJ A BLOCK: Ryusuke Taguchi vs. Matt Sydal. * BOSJ A BLOCK Kushida vs. Kyle O’Reilly. The top three matches for New Japan’s big Dominion show in Osaka Jo Hall on 19/6 have been announced. Main event will be Tetsuya Naito defending the IWGP Heavyweight title against Kazuchika Okada. Semi-final is the first ever Ladder match in New Japan, with Kenny Omega defending the IC title against Hiroshi Tanahashi. And in a rematch from Dontaku, Katsuyori Shibata will challenge the new NEVER Openweight champion Yuji Nagata. Dragon Gate ran one of their annual big shows on 5/5 in Aichi and drew 6,000 fans to the Aichi Prefectural Gym for Dead or Alive 2016. 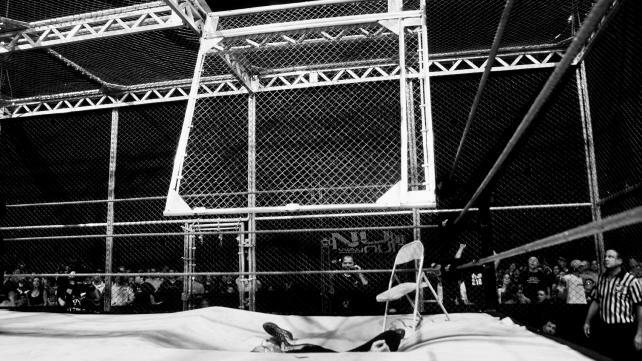 The main event was the traditional multiple man elimination cage match with the loser having to either unmask or shave their head. Shingo Takagi, Naruki Doi, Yamato, Naoki Tanizaki, Cyber Kong & Kotoka were the participants and in typical Dragon Gate fashion the match went an epic 46:18, It came down to Yamato vs. Kotoka and Yamato escaped the cage, meaning that Kotoka must keep his head shaved for one full year. Also on the show, Yosuke♡Santa Maria retained the Brave Gate championship over Mondai Ryu in 12:52 and T-Hawk & Big R Shimizu retained the Twin Gate titles over Dragon Kid & Eita in 16:42. The main event of the GUTS World show at Korakuen Hall on 8/5 saw the 47 year old Mr Gannosuke beat Daisuke for the GWC Championship in an astonishing 33:32. Gannosuke dedicated his victory to his friend Hayabusa and put over GUTS as a rising promotion. * Special Talk Battle: Kenta Kobashi vs Kensuke Sasaki. * Hiroyo Matsumoto vs. Kairi Hojo. * Go Shiozaki & Yuji Okabayashi vs. Daisuke Sekimoto & Yuji Hino. * Shuji Ishikawa & Katsuhiko Nakajima vs. Kohei Sato & Maybach Taniguchi. Minoru Suzuki is promoting another show at Korakuen Hall on June 18th and the main event of “We Are Suzuki-Gun 3” will be, Minoru Suzuki, Takashi Sugiura & Takashi Iizuka vs. Noamichi Marufuji, Toru Yano & Kazushi Sakuraba. All Japan added Jun Akiyama vs. Daichi Hashimoto to their 21/5 show in Yokohama. AAA announced some of the teams for the Lucha World Cup, which is now expected to be only available on iPPV. The first round is in Puebla on 3/6 with the finals on 5/6 in Mexico City. Only the Japanese teams and some of the Mexican teams were announced, with nobody from the US or Canada yet confirmed. Team NOAH: Taiji Ishimori, Naomichi Marufuji & Maybach Taniguchi. Team Zero-One: Akebono, Ikuto Hidaka & Masato Tanaka. Japanese women’s team: Aja Kong, Yuki Miyazaki & Sumirse Natsu. Mexican women’s team: Fabi Apache, Mari Apache & Lady Apache. Team AAA: El Texano Jr., Pentagon Jr., & the winner of a Ricky Marvin vs. Nicho vs. El Hijo del Pirata Morgan match on 14/5. Mexican legends team: Canek, La Parka & a third luchador. Plus, an international team captained by Rey Mysterio Jr. Pro Wrestling Sheet reported that the match where Matanza Cueto sliced open a vein in his hand last will not be shown on TV, because it was re-taped last Saturday on 8/5. Electroshock & Mini Charlie Manson have left AAA and are now working on the indies under the names of Mr Elektro & Tiago. Konnan talked about his departure from AAA & Lucha Underground on MLW Radio this week. 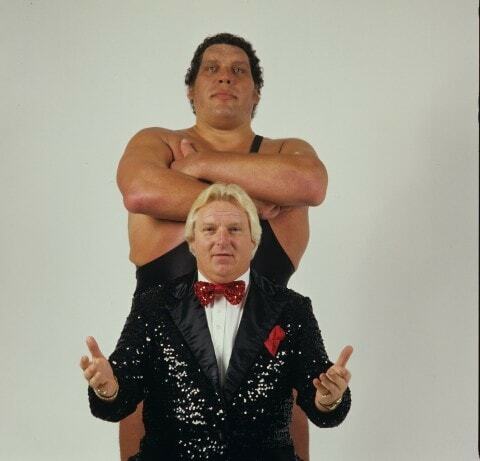 An update on the hospitalisation of Bobby Heenan last week, his wife Cynthia Tweeted on 11/5 that he is back home after suffering a fall on 4/5. Triple H was re-signed to a wrestler’s contract by WWE this week. James Caldwell of PWTorch reported on the deal and noted that HHH is entitled to a downside of $1 million. The new deal is for three years and will roll over each year after it expires until either party terminates the deal. Eli Drake & Jessie Godderz have been re-signed by TNA; there’s no word on if they received a $1 million downside. Speaking of TNA, they are running the Slammiversary PPV on June 12th from the Impact Zone at Universal Studios in Orlando, FL. They will also be holding TV tapings from June 13th–15th with a “live” (delayed) episode of iMPACT on June 14th. Since the dawn of the WWE Network one of the favourite long-standing pro wrestling fan memes has virtually become obsolete, so one more time for old times sake…NO BUYS~! RAW on 9/5 did a 2.26 rating with 3,231,000 viewers, which is the second lowest number for a non-holiday/non-football season show since 1997. 8pm did 3,345,000. 9pm did 3,356,000 and 10pm did 3,013,000 viewers. TNA iMPACT on 10/5 did 280,000, down from the 303,000 they drew last week. Lucha Underground on 11/5 did a combined 177,000 viewers, down slightly from the 180,000 they did last week. The first run episode only drew 96,000, way down from last week’s 138,000, however the replay was up to 81,000, which is nearly double the 42,000 last week’s replay did. SmackDown on 12/5 did a 1.59 rating with 2,262,000 viewers, down from the 1.65 and 2.346 million viewers they did last week.